In September, 2004, I laid eyes on the gray lady American Beech for the first time. Truly, it was her single-eyed, plump mouth, her roots threading and dangling down the back hillside, her quietude that beckoned me to this piece of earth I have since called home. She sits, queen-like, front and center in a grove of grey American Beech trees. Her leafy crown is wide and high. Joined with her siblings and kin, I feel sheltered under their verdant canopy. All these years later, the gray lady still calls out to me— in winter, when the winds whirl about, her soft gray bark darkens and gleams; in spring, when her shallow roots swell with new shoots, and all during summer, when her leaves billow forward to offer pastoral shade, a sense of the sacred. At the base of this hill filled with decades-old, low branching trees, a hidden cache across from the Charles River, I feel grateful, even blessed, to have embraced the task of steward. American Beeches, Fagus grandiforia, are the only species of beech native to North America. Before the glacial period, beech trees thrived throughout North America. It was common for Native Americans to choose the thick, smooth tree for tribal carvings. American Beeches are survivors, little to be done, except for a seasonal misting of natural spray to ward off gypsy and winter months. In fall, the leaves thin out and turn golden. Unlike the maples and oaks, they do not shed their leaves in short order but linger. There is one tree, very large, on the line between my neighbor and myself. It sheds a few leaves weekly throughout late fall and all during the winter, leaving a small pile in the corner of the driveway, a reminder to attend to the whole cycle by collecting leaves for recycling into mulch. Up close and even from behind my window in the midst of winter, the gray lady holds the promise of steadiness, calm, and beauty. Alex Hutchinson, writing “How Trees Calm Us Down, in http://www.newyorker.com/tech/elements/what-is-a-tree-worth, writes, “ a leafy tableau is more therapeutic than a drab brick wall–­–and puzzling. Whatever curative property the trees possessed, how were they casting it though a pane of glass? Natural environments provide “softly fascinating stimulation,” and truly, that day in 2004, on the edge of retiring from my long-term psychotherapy practice, I was sorely in need of a soft landing. For the bounty of trees I am privileged to behold from every window in my present home, I am grateful to the beckoning gray lady American Beech for grounding me. 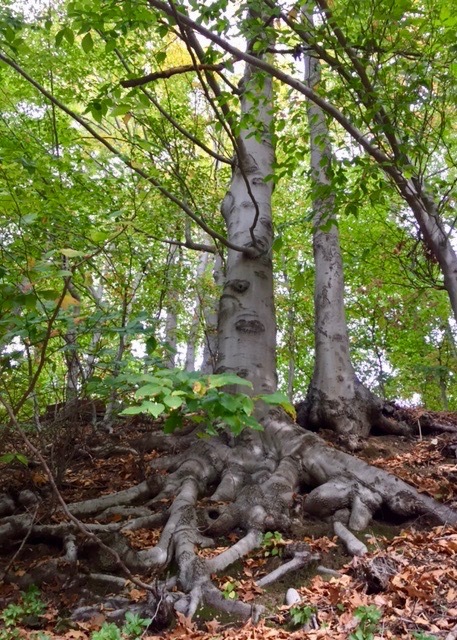 This entry was posted in Creativity, Happiness, Mindfulness, Nature, Relationship(s), Sustainability, Uncategorized, Well-Being and tagged a calming practice, American Beech trees, mindfulness, Soul Tracking on October 31, 2016 by fayewriter. When I soul-track, I am most fully conscious of myself in the environment. What is soul tracking, you might ask? Soul tracking is an active form of meditative walking. It involves searching for a natural object that attracts and resonates with the self. I am deeply grateful to Cindy Krum, an environmentalist and former colleague, who introduced me to the practice. For several years, during the late eighties, she and I worked together to introduce soul tracking to a few of my clients. I did not know then that by stepping out of my office into a safe environmental space, that I would adopt soul tracking as a bane against the psychologically painful stories I dealt with on a daily basis. Cindy and I took great care to choose a quiet, safe, walk-able space in nature for our sessions— a woodland path near a riverbed where fallen trees jutted into water, a path adjacent to rock ledge, a marsh filled with tall reeds and soft grasses. In my instructions, I told clients to walk slowly, to note what is there, along the path, in front of you, to notice what draws you. Stop to touch, to smell. One client was drawn to the green moss growing out of a stone outcrop. Silent on the wooded path, she burst out with delight when she bent to touch the soft new growth. That shared experience reminded me of nature’s potential to enrich our well-being. This was not new information. Thoreau spent a year in the woods sauntering, noticing, and writing about the benefits of nature at Walden Pond. My client had little softness in her early life; she was hard on herself. Moss, its moisture on her fingertips, resonated with her younger self, the part of her that longed for gentle touch and a loving connection. As my client’s guide, I asked, “What about the moss appeals and resonates within you? Her hand caressing the moss, her mind quiet, she was able to focus and tap into her longing and the attraction to a small, contained, tender part of herself. With time and focused attention in a natural habitat, one can easily attend to what draws you. Often, these buoyant, bright fall days, I take a mini walk in my garden. I move into a semi-meditative state. 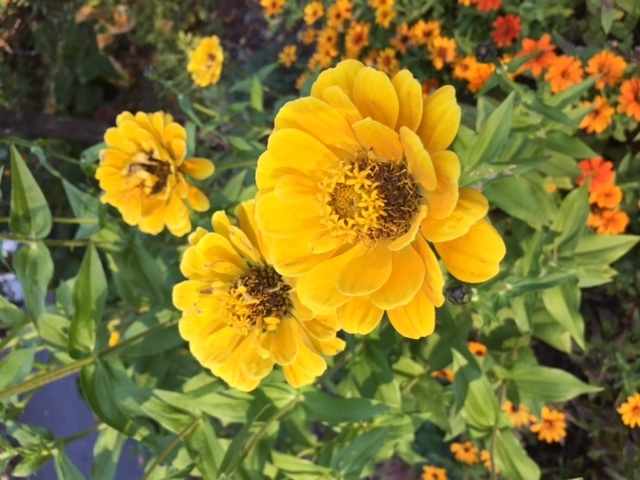 The other day, as my eye swept the garden, I was drawn to a four-foot brilliant yellow zinnia plant. A giant outlier in the midst of my low growing orange zinnias, it had “shown up” in the spring flats. All summer long and now into fall, it sends up tall, firm stems with thick, lush and rich heads. Taken inside, each flower lasts up to two weeks. Daily, I am grateful for the yellow beauties on the kitchen counter; they make me smile. When a flower dies off, I cut the blossom off, turn it upside on newsprint until it dries. My hope is to save the seed heads over the winter and replant in the spring. This entry was posted in Creativity, Currents, Happiness, Mindfulness, Nature, Relationship(s), Sustainability, Uncategorized, Well-Being and tagged a daily practice, benefits of nature, meditative walking, mindful attentiveness, mini walks on October 24, 2016 by fayewriter. I reply, “sparkling water,” then as an afterthought, “in the can.” Noticing he had turned away, out of my peripheral vision, I wondered if he had heard me. Slapping down the napkin, placing the can, an empty blue plastic cup and a crunchy Snack Mix alongside, “I heard you,” he said, in a chastising tone. The water was cool, no need for ice. I watched as he tipped each empty blue plastic cup upside down, one on top of the other, pressing each in turn to assure a neat stack. If the cup held a paper napkin or the empty snack package, he made certain to separate the paper and place it in its proper well. Marv, trying to help, leaned forward from his seat across the aisle to place his empty plastic sandwich container on the bin. Marv’s left arm still in the air, the cart lurched forward as the attendant grabbed the container. Exasperated, he instructed, “This belongs in recycling,” popping his find in a well. Minutes before readying the cabin to prepare for the final descent, the attendant came by with two large plastic bags— one for paper, the other, for cans and plastic. Again, Marv failed to anticipate the wary eyed, precise soldier as he placed his cup into the closest bag. “We recycle,” the attendant chastised, code for wrong bag as he corrected the error. But then, a tiny smile appeared at the corners of his mouth. “Oh, that’s all right,” he chirped. 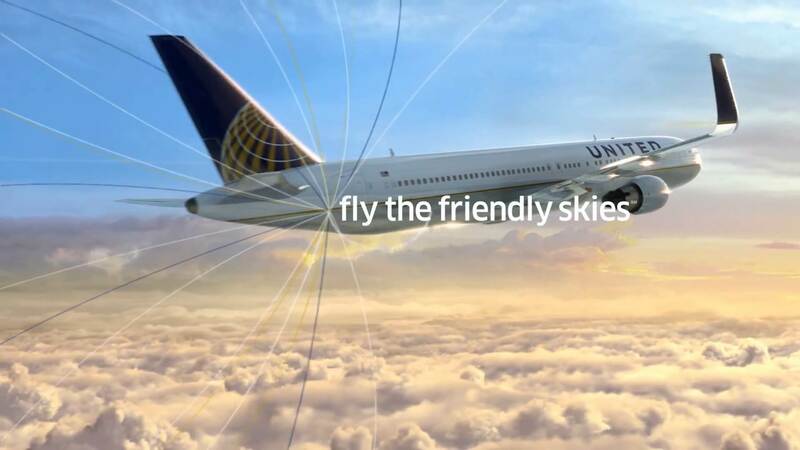 I’m grateful for United’s recycling program. In retrospect, the male attendant, obsessively careful, worked alone; he was on the clock, needing to serve drinks and manage the recycling protocol. I have my own dedicated bins— plastic bags, cardboard, paper, plastics and glass— tucked away in drawers, to be placed in a large green bin on the curb for pickup Tuesday mornings. On the return flight, two women manned the cart. They worked cooperatively and efficiently. I was grateful for the ease of their smiles. This entry was posted in Happiness, Mindfulness, Relationship(s), Sustainability, Uncategorized, Well-Being and tagged attitude counts, civility, facial expression, Recycling on October 17, 2016 by fayewriter. Marv and I will be visiting our son’s family over Columbus Day Weekend! I will resume posting on 10/17. This entry was posted in Uncategorized on October 10, 2016 by fayewriter. When I think of civility, I think of the efficient, gloved female cashier whose eyes and hands waltz in rhythm as she begins the task of scanning my grocery items. Always, even if her feet hurt from standing four consecutive hours, she greets me with a smile. Always, we chat a little, as she invokes the machine to approve my charge. Civility, in retail and in much of life—takes patience and appreciation that the person with whom you are engaged is deserving of respect. Post the first presidential debate, civility is on my mind. Trump’s total lack of civility, his petulant, insistent, whatever-is-in-my-mind-I-am-entitled-to-say tic-like behavior made me squirm. 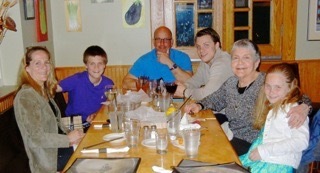 At the halfway mark, I began to pace back and forth from the living room to the kitchen. I needed something sweet to get me through his mean spirited grunts and invectives. I came away empty handed. In truth, nothing I could ingest could calm my disgust and annoyance until Hillary spelled out how she has proved her metal in the stamina department. “As soon as he travels to 112 countries and negotiates a peace deal, a cease fire, a release of dissidents, an opening of new opportunities in nations around the world, or even spends 11 hours testifying in front of a congressional committee, he can talk to me about stamina,” Hillary said. I am grateful for Hillary’s spirited civility. It took discipline to stand before 84 million viewers, to think on her feet, speak out, and continue on as if she were not being interrupted 51 times with words such as “Wrong, Not True and Where Did You Find This? Since the time of our nation’s beginning, the question of civility in political discourse has been discussed. Wikipedia cites a letter written by John Adams, our second president, to his wife about his “fear that in every assembly, members will obtain influence by noise, not sense.” Is that not what we witnessed during the debate— Trump’s effort to distract with noise— sniffling, grunting, single words, all manner of rudeness—to gain attention, cause confusion, detract from the words of his opponent. But Trump is more than a serial detractor. His inability to contain inappropriate responses was on full display. In psychological terms, he lacks “Executive Functioning,” the ability to step back, discern and contain the effect of what he is saying. I close with respect and gratitude for Hillary, whose executive ability assures the option of a disciplined and discerning presidential candidate. 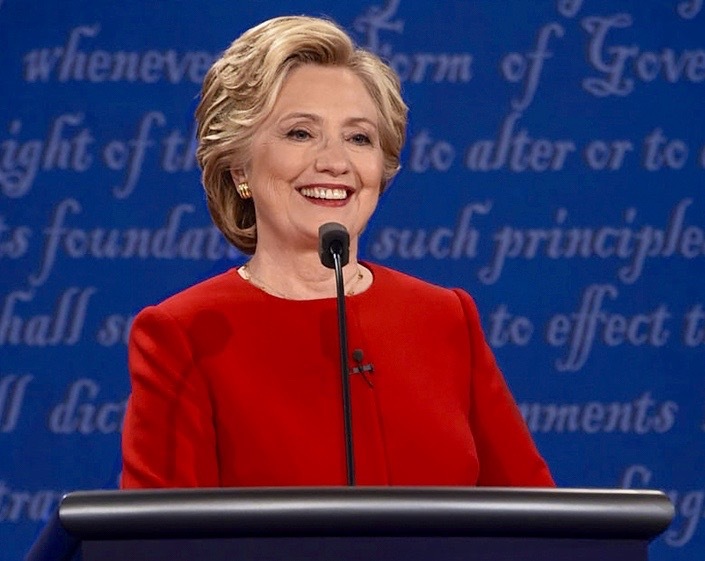 This entry was posted in Currents, Happiness, Mindfulness, Relationship(s), Uncategorized, Well-Being and tagged civility, Executive Functioning, Hillary, Presidential Debate, Trump on October 3, 2016 by fayewriter.